Five lectures George Soros delivered at the Central European University in Budapest – which he founded in 1991 – distill a lifetime of thinking on finance, capitalism and open society. 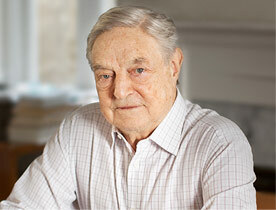 In a series of lectures delivered at the Central European University in October 2009, George Soros provided a broad overview of his thoughts on economics and politics. The lectures are the culmination of a lifetime of practical and philosophical reflection. In the first and second lecture, Soros discusses his general theory of reflexivity and its application to financial markets, providing insight into the recent financial crisis. The third and fourth lectures examine the concept of open society, which has guided Soros’s global philanthropy, as well as the potential for conflict between capitalism and open society. The closing lecture focuses on the way ahead, closely examining the increasingly important economic and political role that China will play in the future. “The Budapest Lectures” presents these five seminal talks into one volume, which offers a condensed and highly readable summary of Soros’s world view.